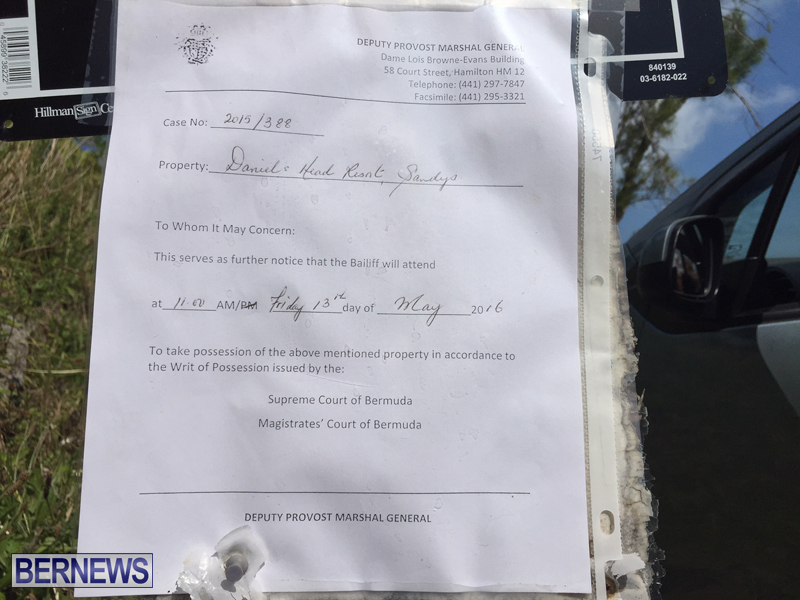 A Baliffs notice was placed on the property earlier this month, and while the eviction did not take place at that time, the BLDC today confirms that they plan to give the occupants notice to vacate the property once they obtain the required order. 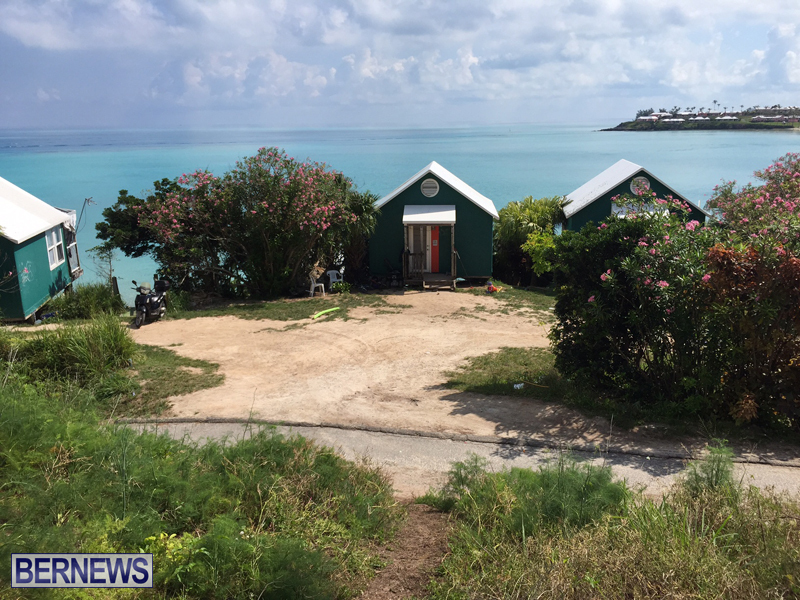 The statement from the BLDC said, “Bermuda Land Development Company Limited [BLDC] today announces it is applying for Vacant Possession of the former 9 Beaches property operated by IRC Sandys Ltd. Once the Vacant Possession Order has been obtained, BLDC will give the occupants two months’ notice to vacate the property. Francis Mussenden, Chief Executive Officer, BLDC, says: “Although the Supreme Court awarded BLDC the Writ of Possession against IRC Sandys Ltd in December of last year, the BLDC will give all remaining occupants an additional two months’ notice to vacate the property once the Order for Vacant Possession is granted by the Supreme Court. “IRC Sandys has sublet the property without the prior consent, authorisation or knowledge of BLDC; however, we believe that this is a fair amount of notice for the occupants. “BLDC has exhausted all other options and is disappointed that we have had to resort to this, but we have been left with no other choice,” Mussenden added. Cats have nine lives….I mean beaches. My heart goes out to the many unknowing and innocent people who are affected by this eviction. One of the biggest cries today is the lack of facilities and leisure options for tourists and locals alike, but here we are seeing tenants who HAVE been paying their rents only to be blindsided who are providing a service for recreation. Another sad day for Bermudians. Good luck for them in finding a place for $500. That’s what I overheard someone saying thats how much rent some where paying out there. it failed because of the horrible access roads to get there, the stench of the dairy farm behind it, too big in scale for the Bermuda market. SOLUTION: make it a waterpark with rides, snorkel area, and a tropical themed restaurant/bar. Have the fishing boats stop off and drop off their catch for true local fish. It had a thriving tourist attraction out there with the water bikes. Still gonna have the stench of the farm water park or not. As long as that stinking dairy farm is next door nothing will succeed on that property. A shame really. It is prime tourism land. Perfect for another Cambridge Beaches or a Lantana. The solution is a fish/conch farm http://www.caicosconchfarm.net/ to go along with the dairy farm next door. More jobs for Bermudians, even help sustain our fisheries. Could even be a tourist attraction as well. Keep the Eco tours (kayaking, water bikes, sup board rentals etc) that are still on site as well. Then get ready to reply to the RFP. Possibly if we got our act together and stopped marching and making people feel so unwelcome, maybe someone would turn this lovely area into something special, we need tourists and foreigners to keep our economy growing. Standing in front of goverment house and shouting doesn’t make us very attractive to buyers! I agree with you MJ, my point is if we can turn our economy around, places like 9 beaches could be helped, because we have cash in the bank to do so, I too saw that lovely young girl speaking on the news, and think it is sad that we can’t help her. I just don’t feel the way we are arguing and being rude to locals and tourists, shutting down services that are needed is helping one bit! There are places around de world which have casualties when they demonstrate, high murder rates on a daily basis and still get more visitors then us, as a matter of fact the ones who do the demonstrating back home come here to visit. A typical comment from someone who tries to make an excuse against people standing up for their rights while not addressing why. Our Forefathers stood up so we can benefit today and we are gonna stand up so our children can benefit tomorrow. Bunch of undeserved economic and social privileged recipients !!!!!!!!!!!!!!!!!!!!!!!!!!!!!!!!!!!!!!!! OJ how are you not profiting? We have an over bloated civil service, ( not the civil service that works the front line,I do mean the upper management hired on friend and family) 3/4 of our taxes go to funding the civil service, that money that pays a lot of those funds come from the private sector, and if we don’t straighten up, more of the private sector who pays all their taxes will depart. I am not sure why that is so hard to understand, I 100% believe in equal rights for EVERYONE, I will be voting on June 23rd, and I 100% believe in standing g up for what you believe, but the demonstration held the last time gave us a lot of bad publicity, we don’t need. Remember if we chase everyone Away there will be no funds at all for the freebies everybody seems to feel they are intitled too. That bay needs to be protected and motorized vessels excluded from it. One of the few places you can see turtles etc. Does this mean SupsUp (paddleboarding ) is gone s I have guests arriving who consider this little gem to be the best part of Bermuda.mth e only. Downside are some drunken behaviour by some who hang out there. Possibly residents?! So BLDC are owed millions by this place and obviously many other entities. Seems to me that there is a pressing need to have the Auditor General have a thorough review to find out why the Bermuda taxpayer continues to lose out on contracted revenue. Ask yourself who in their right mind would invest in that place given the stench over the hill & the crowd that hangs in the bushes by the gate? There are many more secure places to invest money. The Canadian base ruined that beach . The farm killed it! For some reason we prioritize gmo fed cows over our tourism economy. We really don’t need any cows in Bermuda. Milk is cheaper, abundant and better quality when brought in from abroad. @BERMYMANN…Are you serious? !That Farm is Bermudian owned & provides financial resourses for the family that owns it! Have we all forgotten that the farm has always been there?! Bermymann go somewhere with your assinine comments!